Well hello to all, it so nice to be finally back to my blogging. Last month I was so tired after all the travelling I let a friend of mine ghost write – did you enjoy the info on ‘The Bard’? My friend is now actually planning to start his own blog, maybe I can guest on his…interesting thought. It has been non stop since we got back from Australia – what a fabulous time, wonderful people so interesting and cultured, almost didn’t want to come back but summer in Autumn just does not appeal to me. I am such an Anglophile although I don’t think I can quite match up to the 25 points in this article my friend sent me – don’t want a hat like Kate’s LOL. I am proud to be British and not afraid of showing it. 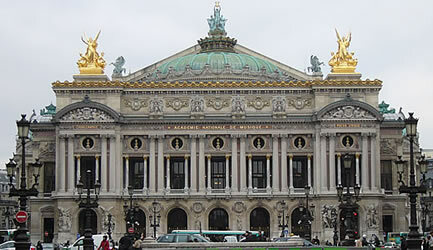 I was reading another article about haunted theatres around the world – very interesting, I would love to visit a few of them especially the Palais Garnier. I have actually been to a couple of them over the years particularly the ones in New York but never to the one in France – yet it is the nearest, life can be strange. This is the magnificent theatre that has parallels with Phantom,well the Gastón Leroux’s 1910 novel. All sorts of stories about the lake underneath, apparently a giant water tank and a chandelier actually did fall and kill a construction worker, gruesome. Another theatre mentioned in the article is Drury Lane. There has been a theatre there since 1663 and the current building since 1812. The ghost has been seen by many occupying the upper box wearing his tricorn hat has been seen by many including yours truly. Yes I did and the Man in Grey was just there, I was on the stage on my own early one evening, it wasn’t spooky or scary I wouldn’t have been surprised if he hadn’t doffed his hat to me. I bet many actors and workers in that theatre have some splendid tales to tell. If you do or know of any other incidents at theatres around the country please let me know. I would love to include some in my book.